I had the incredible opportunity to visit a school in Queensland, Australia. I spent two weeks at Saint Stephen’s College, a K-12 independent school at the Gold Coast. They invited me to their school to share my flipped classroom journey. Their school is committed to organization-wide change to effectively infuse technology into the curriculum and they are truly forward-thinking in their approach; the school has already implemented many innovative teaching practices and spaces. 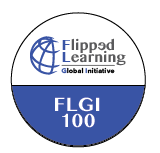 They are well into their journey to bring blended and flipped learning to all classrooms. Saint Stephen’s College invited me to share my direct experiences with their teachers and conduct large and small workshops with their teachers to inspire and brainstorm possibilities. 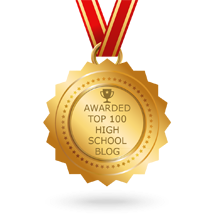 In this post, I wanted to share some of what I learned from the school. Touring their learning spaces was eye-opening and insightful. They have won a variety of awards for their innovative practices, including being a Microsoft Associate Showcase School and last year received a D2L Asia Pacific Excellence Award along with Victoria University and Singapore Management University. They have hosted a variety of conferences at their school, including an Interactive Technologies Conference and the Australia/New Zealand FlipCon. The learning spaces they have set up open up so many possibilities and opportunities for blended and differentiated instruction and individualized learning, meeting the needs of all different learning and personality styles. Saint Stephen’s College has classroom spaces that truly allow for the station rotation model to successfully be implemented. As you can see in the pictures below, in this particular space there are two small classrooms with glass walls on the sides of the room and a large learning space in the center. Each of the classroom spaces on the sides is optimized for student comfort and small class discussion. Students can sit on the couch area or on the high tables/chairs that are on the perimeter of the couches. Students in this room are having a classroom lesson. The teacher is at the board and engaging the class in either a lesson or a guided discussion. In the outside learning space, students are working in their assigned station rotation. They are assigned to a table with a partner and then turn to their Learning Management System for their assigned task. Detailed, step-by-step instructions are posted for each team on the LMS. Students follow the steps and self-pace through. There is a teacher aide in this space to assist and monitor the learning. As well, since the walls are glass, the teacher can see all the learning that is happening. Sophomores have the opportunity to spend a period of their day learning through a MOOC of their choosing. Their MOOC worktime is an assigned period within their school day. When students are in their MOOC course, they all report to the open learning space, as in the pictures below. While students are all working independently, the learning space they are assigned to promotes collaborative and social learning. Since there are around 10 students assigned in this independent learning time together, they still have the chance to chat with classmates and bounce ideas, questions, revelations, and wow moments to their peers. I was quite impressed with this setup. I think independent learning can sometimes feel isolating, but the environment they were in made the work feel less solitary. They have a teacher in this space (the Team Projects Manager) who monitors the learning, make sure students are on task, and answers questions as needed. How the MOOC period works is that students first pick a topic of interest to them and then find a MOOC to guide their learning. There are some suggested MOOCs on their LMS to choose from. Students turn in their choice of MOOC to the program advisor for approval and then get started. Their end goal is to create a digital presentation. Many students create a Weebly site to present their learning. I observed students learning a wide range of courses – from nursing, to genetics, to photography. Again, the space is ideal for this type of learning. There are couches, tables with chairs, and tables with wobbly stools (these were my personal favorite, they allow for some healthy movement without being distracting). The couch spaces also have two large monitors, where students can connect their laptop to the large screen if needed. This isn’t specifically for the MOOC classes that happen in this space. Rather, they are largely used in the math classes, for students to project the activity they are working on so that all students don’t need to have their laptops out while working. As mentioned above, the learning space used for the MOOC classes are also used for students in math class. There are larger classrooms, again with glass walls, where the teacher does direct instruction with students. Both images, below, are taken inside of one of the classrooms. The one on the left shows the classroom space (note the whiteboard hanging from each table for students to easily access) and the one on the right shows the view from the classroom looking out to the open space in the center of the room. Because all walls are glass, the teacher can easily monitor what is happening all around. Even though the teacher only needs to be responsible for the students inside his/her particular learning area, the space is wonderfully designed so that the teacher can get a sense of everything that is happening around. In the open space, students work on an activity, to apply the learning that happened with their teacher. In the particular class I watched, students spent half of the period in the classroom and the other half of the period in the open space. They had the freedom to choose their groups and they worked on their activity assigned. All students were working on the same project. Most students were working in small groups, though some students were working individually. Again, because of the setup and the amount of space in the room, students could really sit in the environment they felt would optimize their learning for the day. 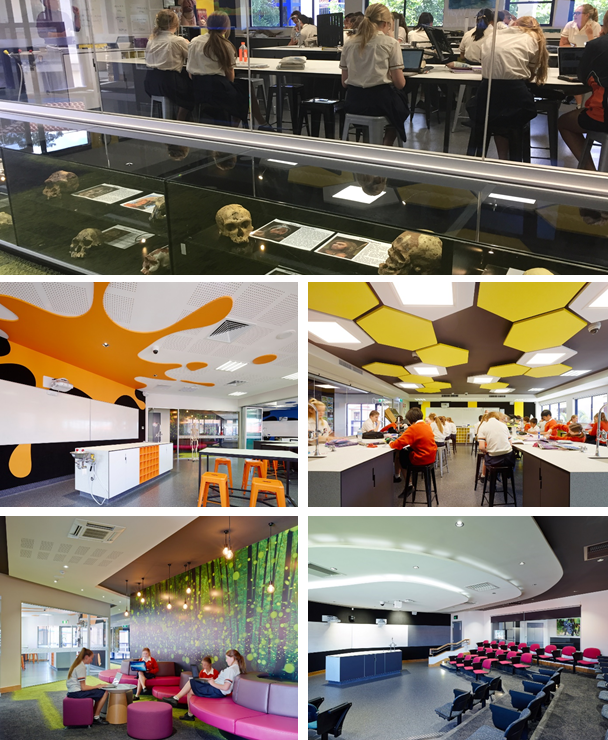 The science spaces are something to look at, for sure! The classrooms are all enclosed in glass walls. Some of the classrooms are mini lecture halls and others are science labs. Outside each of the rooms are displays of student work or science related artifacts. The design of the building is also beautiful, with splashes of color throughout. In the open space outside of the classrooms, there is a lot of similar furniture as I wrote about in the MOOC and math space. When I walked through, some students were creating a lab report comparing the quality of water in Yaun Creek, which is at the back of the school, with Coomera River. They were looking at things such as turbidity, oxygen content, biotic factors, etc. comparing the two bodies of water. Students had used Microsoft Excel to analyze some of the data and then were writing up their report in Microsoft Word. I was impressed with the careful attention to formatting including title page and table of contents. Again, because of the flexible learning spaces, some students were able to be receiving direct instruction while other students in the same class were able to work on a cumulative learning task in creating their report, in groups. I asked more about how students developed the Word and Excel skills that I saw them applying. In 7th and 8th grade, all students take a computer studies course. The 7th grade course is in part devoted to document layout and design (headers, footers, table of content, etc.) and spreadsheet skills (graphing, regression analysis with extrapolation, formula building including vlookups, countifs, etc). The 8th grade course is devoted to skills such as digital image manipulation (in Adobe Photoshop) and video editing (in Adobe Premiere Pro). Teachers continue to push students to apply the skills learned in these fundamental courses throughout their high school experience. The Language Center is a two level building devoted to languages. They teach Japanese and Spanish. In addition to the teaching that goes on here, there is an aide always in the open space to monitor and organize what is happening in the building. For example, one morning I saw a group of parent volunteers reading, in Spanish, to the elementary age children. Again, this had all been set up by the aide that monitors the space. The furniture in the open space consists of couches with seating around and also several small tables. Each level of the Language Center has 1 lecture theater, 1 Webinar room, 1 collaborative workspace, and 1 open ‘foyer’ space. Each space is enclosed with glass walls. They look out onto the open middle space. Depending on the activity, all students can be in the classroom, with the teacher, or some students can be in the classroom while others are in the middle space. The aide monitoring each level is there to help and facilitate the more independent activity. In the back corner of each level of the Learning Center, there are couches set up for Skype centers (see above photo). The computers have camera mounted on top and the booths are set up so that multiple students can join a Skype call at the same time. They are thinking to change this space since students are all bringing laptops now and the cameras on laptops have become high resolution. But still, the setup of this space can evolve as the school continues forward. The learning booths provide excellent space for small, collaborative student work. Because the booths are divided in the way they are, individual groups aren’t disturbed by the group sitting next to them. The Arts and Applied Technology space houses their Visual Art, Film, Television and New Media, Graphics, and Business departments. 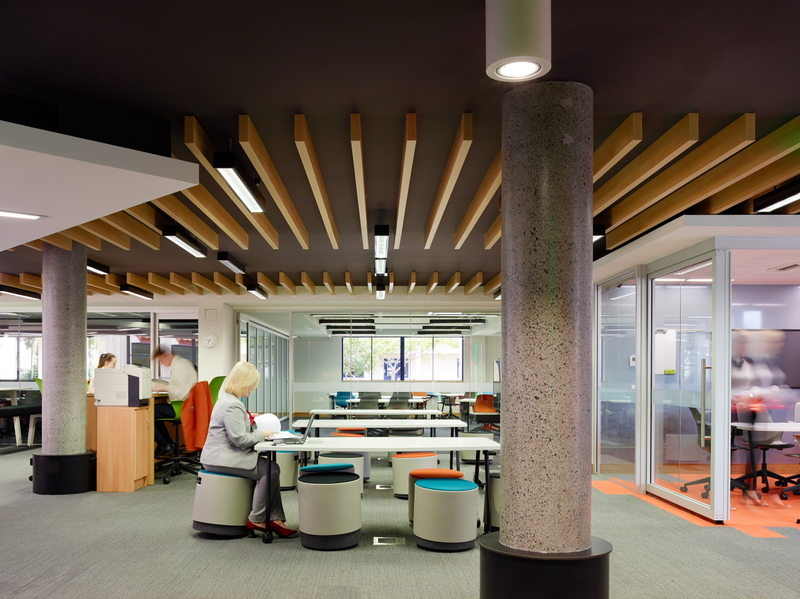 The open design allows for collaborative learning that extends beyond the walls of the classroom. This space has a sound proof media room, green screen, 3D printers and laser cutter, among other things. The whole space is incredibly flexible, with glass walls that can fold away to transform the environment from individual classrooms to one large, open space. In fact, once a year they convert the space into a gallery for their Art Exhibition. The Art and Applied Technology space models a real-world, open plan working space typical of many workplaces in creative fields. Projects that have been completed and those that are being worked on are displayed around the room to spark creativity and help inspire. When students are working, they have the freedom to move around between classrooms and open spaces to pick the environment that best meets their needs for the day. 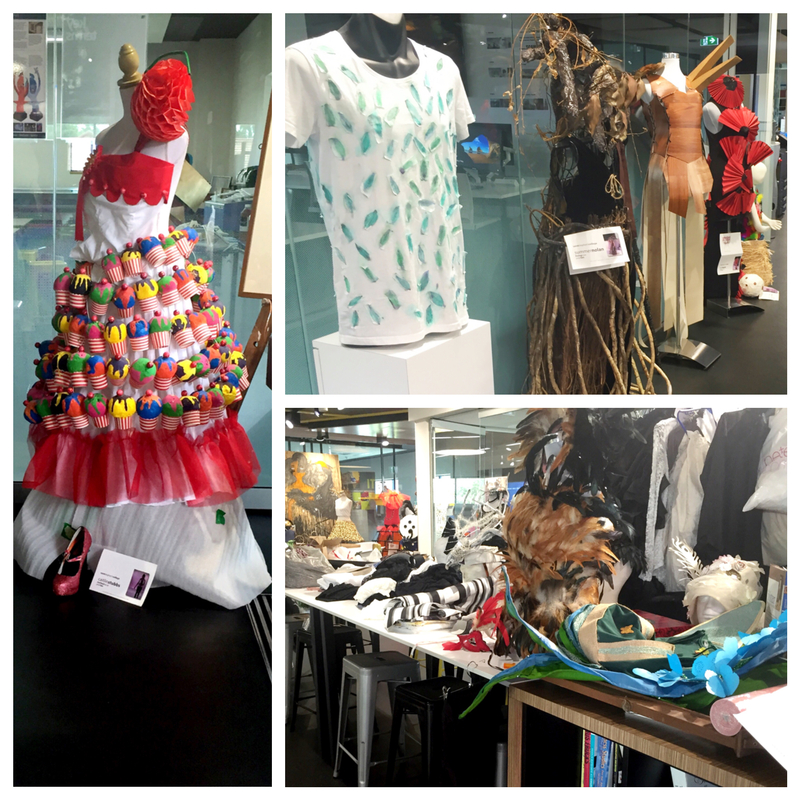 When I was visiting, they were preparing for their Wearable Arts Show. This is a collaborative effort between the Visual Art, Graphics, Media, Fashion Events Management, and Business students. For the current year, students were given a design brief based on Steam Punk. During the show, students model their outfit designs on the catwalk while a video presentation scrolls in the background to frame the whole show and capture the design process of each outfit on display. In addition to obviously creating the outfits and video for the fashion show, students are responsible for setting up and catering the event, the behind the scenes work, marketing and promotion, and the production of the show. The effort is really a student-led one. To organize the show, the teacher acts much like a Product Manager. Each student is given a brief with immediate tasks to complete. The students also are given a style guide at the beginning of the project so that they know the exact parameters, just as would be done in the real-world. Though assignments leading up to the show are class specific, the end result in preparing for the show has everyone coming together to make one cohesive product. The Art students design the artwork and outfits, the tech crew does lighting and sound, the graphics students use programs like Adobe Illustrator and Solidworks to create vector files and print with the laser cutter, and the media students ensure continuity with texts, fonts, etc. This is a true collaboration between the Media classes, the Graphics classes, and the Arts classes. In addition to the fashion show, students from the film, television, and new media course showcase their animation projects during the Wearable Arts Show. To create these, they focus on using Adobe Photoshop and Adobe Premiere Pro. In addition to their individual projects, they are also responsible for creating the interview package that is running on monitors throughout the fashion show. This includes interviews with teachers and students, an overview of past year shows, and an introduction for each student model walking onto stage (including the student’s name and a picture from their design portfolio to capture the design process). I was very lucky to have the opportunity to see the show during my stay at Saint Stephen’s College. 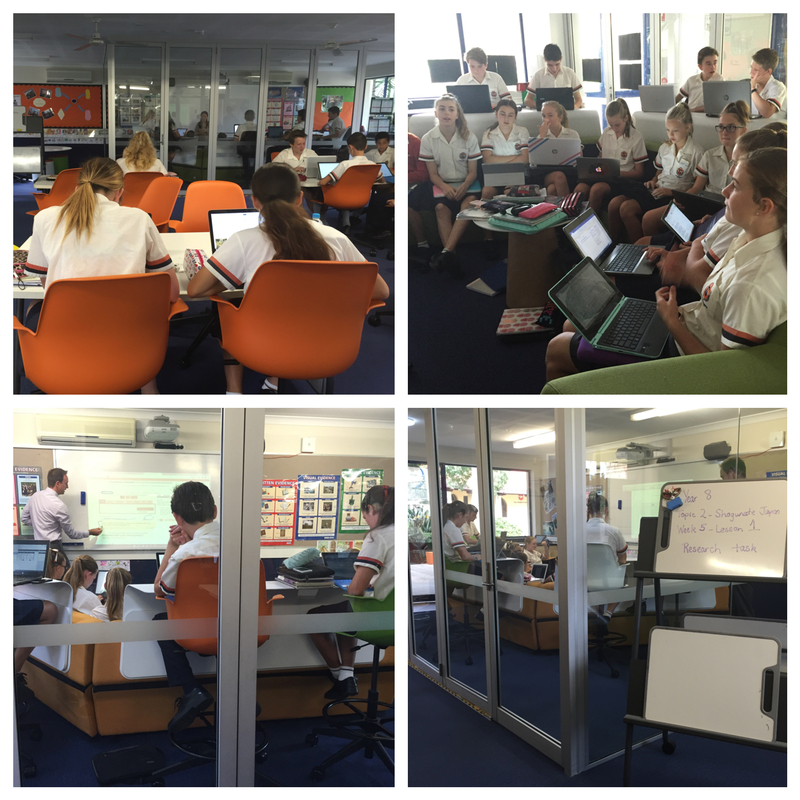 Seeing the work going on in the classrooms and the collaboration between classes was super impressive and enjoyable! The P.E. department is doing some really cool work infusing technology into their curriculum. They are using iPads and programs like Dartfish and Coach’s Eye to enhance their lessons. I was particularly interested in the way they are using time lapses to have students review their own work and also peer critique. The way it works is that students will do a certain skill, say swing a bat, and the iPad will record the time lapse. They have the recording set to play automatically on a 30 second delay so that students swing the bat, then run around to view the video replay, and then return to the line to redo the skill. After the video is replayed, it automatically is deleted, so they don’t have to worry about storing all of this video footage. Students also do a peer-review activity where a classmate is the one who critiques the video replay based on a coaching tips rubric that the teacher has provided (things like: your arm was bent, your legs were too far apart). This truly fosters a culture of peer review and analysis which is very cool to see in a P.E. class. The learning spaces that I toured were fantastic and open up so many possibilities. Of course, great teaching can happen anywhere, but the spaces at Saint Stephen’s College certainly open up many options that would not be available everywhere. There were traditional classrooms that I also toured, but I highlighted their newer, innovative spaces and the blended learning that is happening in those spaces. It was remarkable to see the teaching and learning going on; I have never experienced classrooms quite so forward thinking as these. With such spaces, the teacher can drive a section of students while another section of students step into a separate, open space to explore more independently. Video can be very effective in helping students navigate these blended learning spaces; it was fun to brainstorm some of the possibilities, from ideas as simple as using video to explain a self-paced learning module to students (to add a personal touch and make the student feel more directly guided by the teacher) to as fully developed as an interactive, choose-your-own adventure style video tour. Something else noteworthy about the school’s setup was that spaces weren’t confined by grade level. In the Language Center, for instance, you might see high school students in the classrooms while elementary age students work in the open middle spaces with the teacher aides or parents. I thought it was interesting to see so much overlap between the various divisions. Overall, the learning spaces were incredible and I hope that I captured some of my enthusiasm for the setup in the above. I look forward to seeing more schools set up in this way. I will go back home thinking about the learning spaces that I saw and brainstorming how I can model some of this in my own classes, even if I have a more traditional classroom to use. The idea of splitting student groups up and the station rotation model they use can be mirrored in any environment. While of course it is ideal to have separate spaces for the various learning activities to happen in (and extra space left over for students to maximize their comfort and choose whether to work individually or in a group for the day! ), it is possible to replicate the model with some creative setup. I am so grateful to Saint Stephen’s College for inviting me out to work with their teachers. It’s a true testament to how heavily invested they are in figuring out how to most effectively utilize their spaces and infuse technology to enhance the curriculum and optimize student learning. The school is extremely thoughtful in their implementation, and it was truly an honor to have a chance to get to know the school so well during my extended stay.